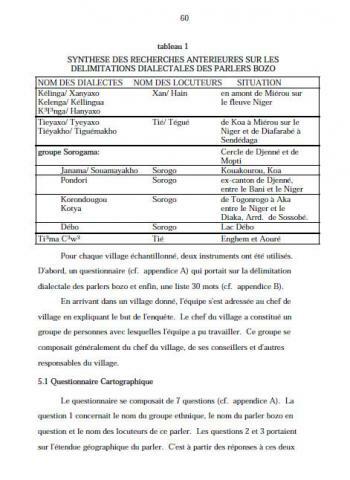 Region: Administrative circles of Djenné, Mopti, Youwarou, Tenenkou and Bandiagara. Between Bani and Niger rivers (Pondori dialect); between Diaka and Niger rivers (Kotya dialect); Niger River from Mopti to Lake Débo (Korondougou dialect), north of Kotya and around Lake Debo (Debo dialect). Some in Côte d’Ivoire around the Kosson and Ayamé dams. Also in Nigeria. 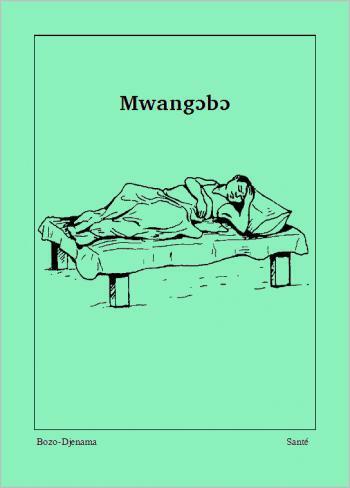 Alternate names: Boso, Corogaama, Djenaama, Nononke, Sarkanci, Sarkawa, Sorko, Sorogaama. Dialects: Pondori, Kotya (Kotyaxo), Korondougou, Débo. Lexical similarity: 53% with Tiéyaxo Bozo [boz] (most similar). 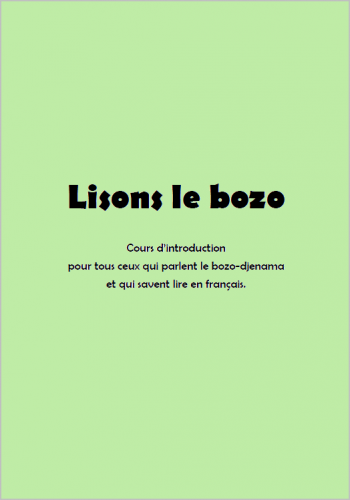 Ce guide a été écrit pour ceux qui comprennent le bozo et qui savent déjà lire en français. 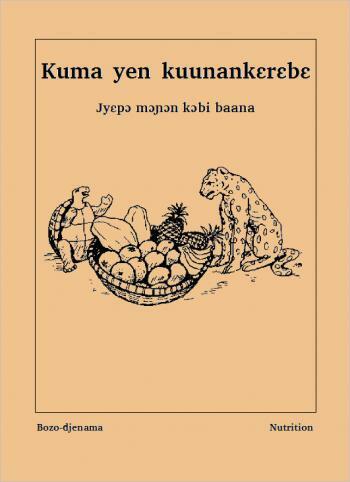 Il leur permet d’être initié à la lecture et à l’écriture correctes du bozo-djenaama. Vous trouverez que ce guide n’est pas difficile à exploiter même sans l’aide d’un formateur. Le cours est divisé en quatre chapitres. 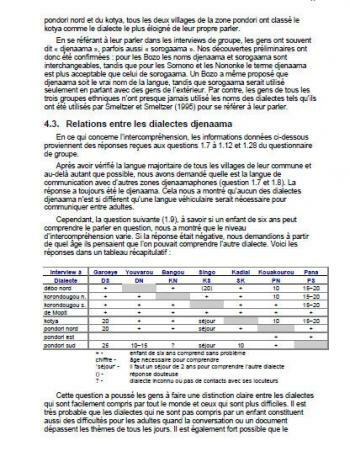 Les trois premiers chapitres expliquent comment écrire le bozo, avec des exercices à remplir à la fin de chaque chapitre. 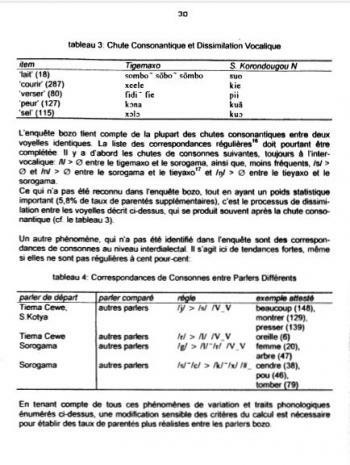 Le quatrième chapitre comprend des textes plus avancés pour vous aider à lire couramment. 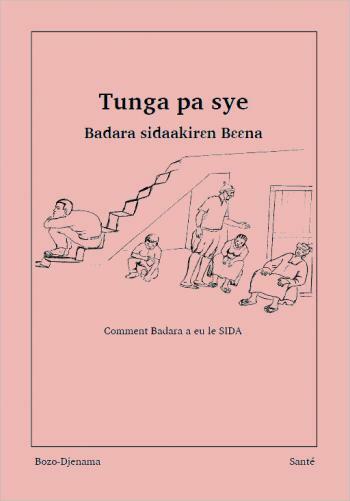 Baya Songué et Maama Thienta. 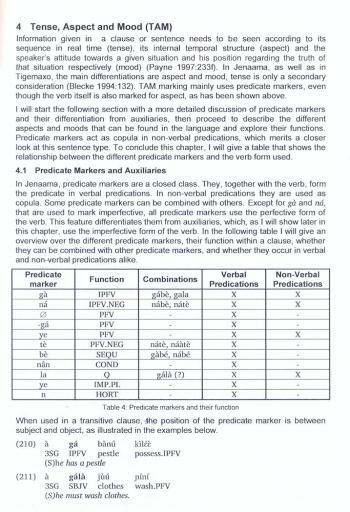 This paper discusses one problem area of Bozo-Jenaama phonology, namely nasalization. After an introduction about the language and its speakers, it outlines the relevant data. It then shows how an analysis without contrastive nasal vowels is possible in spite of surface contrast between nasalized and non-nasalized vowels. In a next step additional data in support of the suggested analysis is presented and exceptions to it explained. A suggestion about the nature of the underlying nasal consonant is made. 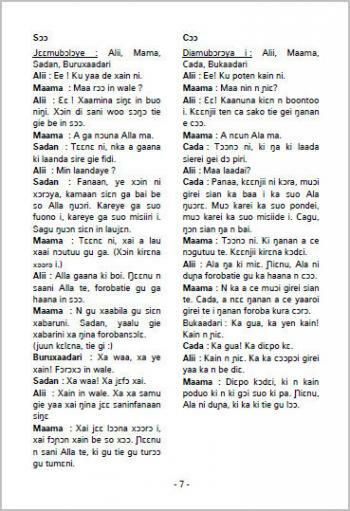 Finally, a pronunciation variety of one of the dialects of Jenaama is discussed. 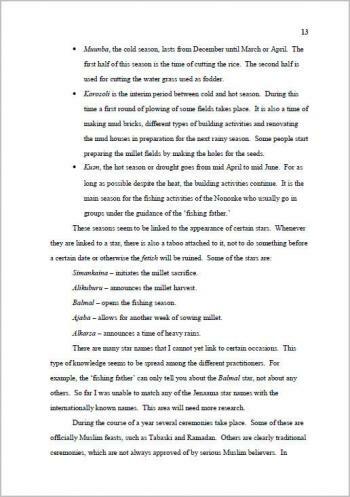 This paper attempts to provide a partial ethnography of the Nononke by describing some of their religious practices as shown in rites and ceremonies. Jenaama (in French Djenaama) or Sorogaama is one of the Bozo languages spoken in the interior delta of the Niger River in Mali between San and Nyafounké. 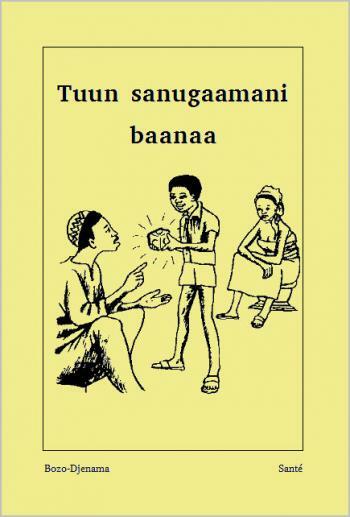 The goal of this survey (done in 2003) was to gain a better understanding of Jenaama's dialects by looking at the intercomprehension and the sociolinguistic attitude between the different dialects, with regard to establishing which dialect might serve as a reference for the eventual standardization of written material in Jenaama. Besides this main goal, we also tried to clarify demographic details about the Jenaama speaking population.